BMW Motorrad represents pure fun, uniqueness, comfort, quality and development at the highest level. 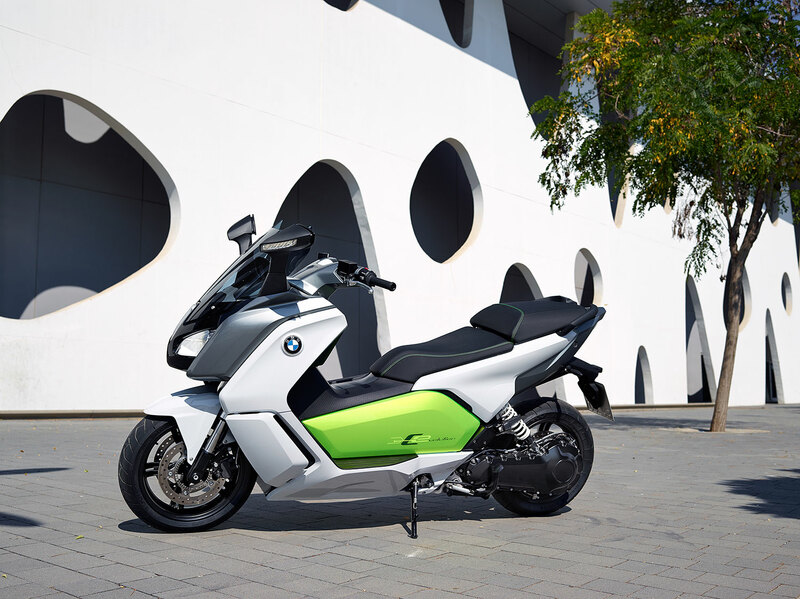 In the category of "Urban Mobility" BMW Motorrad built up a firm pillar by Scooter C600 Sport and C 650GT. 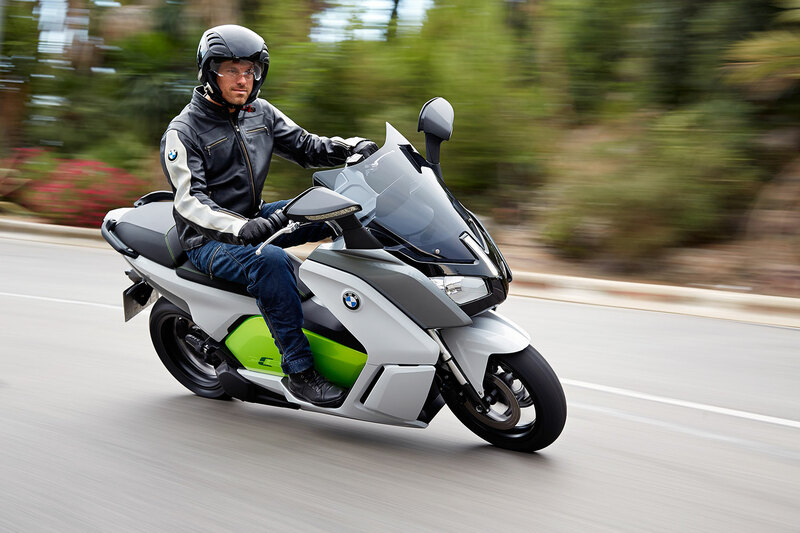 Of particular note is, as in the case of the BMW i - series, the practical application and the first-time adoption of a drive technology with energy recovery ("recuperation") to a motorized two-wheeler. The "recuperation" is done while coasting and during braking. This new technique has already been used in the BMW i3, which will appear before the C evolution scooter. There is the possibility to choose from four different driving styles, being agreed to the individual driving style. The new electrically operated C evolution with an effective output of 11 kW (15 hp) and a demand power of 35 kW (47.5 hp) reaches a maximum speed of 120km/h. This means a range of up to 100 kilometers. The battery can be easily recharged on household electricity. When the battery is completely empty the charging time amounts to about 4 hours. 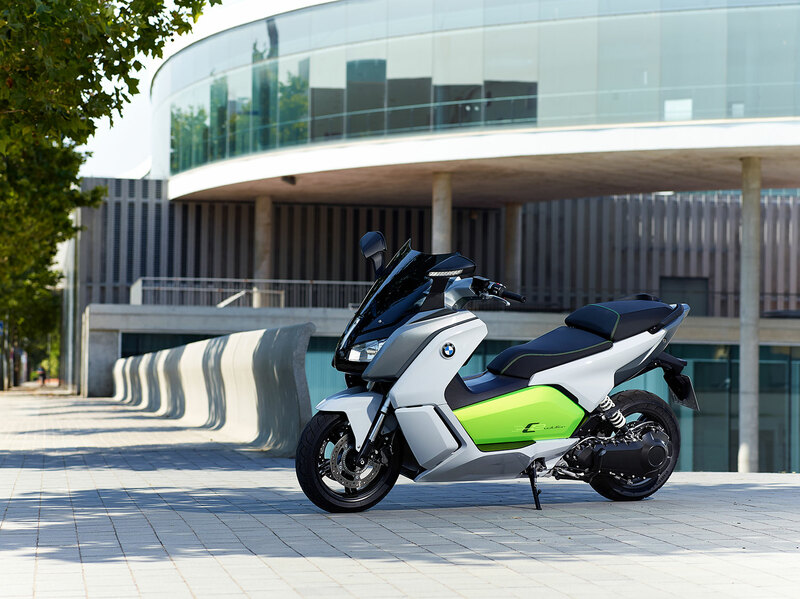 The C evolution scooter achieves as the first electric-powered two-wheeler the standards for functionality and high-voltage safety which were ratified by the leading automobile concerns. There have also been many developments in the technical area. The standard frame is replaced by a battery case made of aluminium die cast metal. Furthermore the new scooter offers ABS as standard in combination with powerful wheel disc brakes. The new C evolution was equipped with the Torque Control Assist (TCA), which should avoid the wheel spin of the rear wheel, especially on a smooth road. In terms of technical features the c evolution is ideally equipped and has a reverse driving assistant so that a turn over should be a problem no longer. Thanks to the modern LED daytime running light the C evolution scooter looks not only really sportive but the light also assumes the function of the position light in subdued form. Also, the cold season is, thanks to the heated handlebar grips, not an obstacle for the C evolution scooter. On the large TFT color display all important data are shown. So the speed, average fuel consumption, total consumption, battery charge level, average speed, system voltage, high voltage and residual range, which depend on the selected driving mode, could be inferred from the display. From a bar indicator the energy extraction is readable. Not least thanks to the color combination of "Electric Green" and "Light white", the electric-powered scooter shines in a fresh and individual look and promises even more driving pleasure. 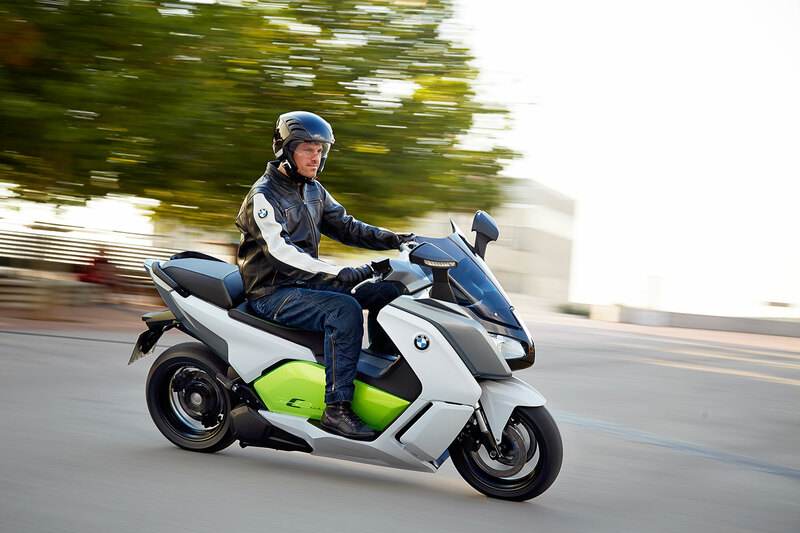 So the BMW C evolution combines environmental impact with modern design and guarantees a unique driving experience.